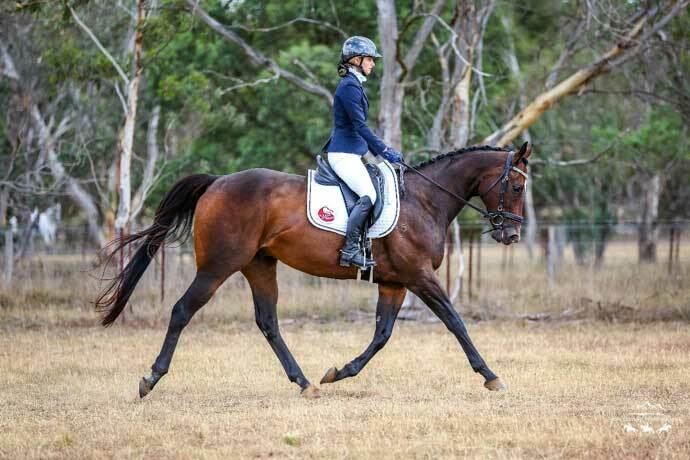 Morton is an 11 year old off the track Thoroughbred owned by Courtney Cusack from Sydney. 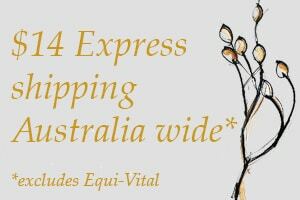 They are regular competitors across pony club and eventing in NSW. Courtney was having all sorts of problems with Morton’s health – various skin issues including hives, hairloss and dull coat as well as unexplained colics, weight and muscle loss. She also wanted natural solutions to promote his joint and hoof health. Morton sustained a sesamoid injury in 2017, as well as overall poor joint health from the 6 years of race training including over 49 race starts (compare this to Black Caviar who only had 25 race starts)! Morton was transitioned to his customised VF natural diet from processed feeds over a few weeks and started his course of herbal prescriptions to get his skin and gut healthy and functioning well. There were no more colic episodes from the start of the program and his skin also improved quickly. Topical treatment for his skin issues were Orlando’s Coconut & Lemon Myrtle Shampoo and Artisan Skin Balm. Getting his condition and muscle tone back to optimum took longer, but over a few months of tweaking his diet there was successful. 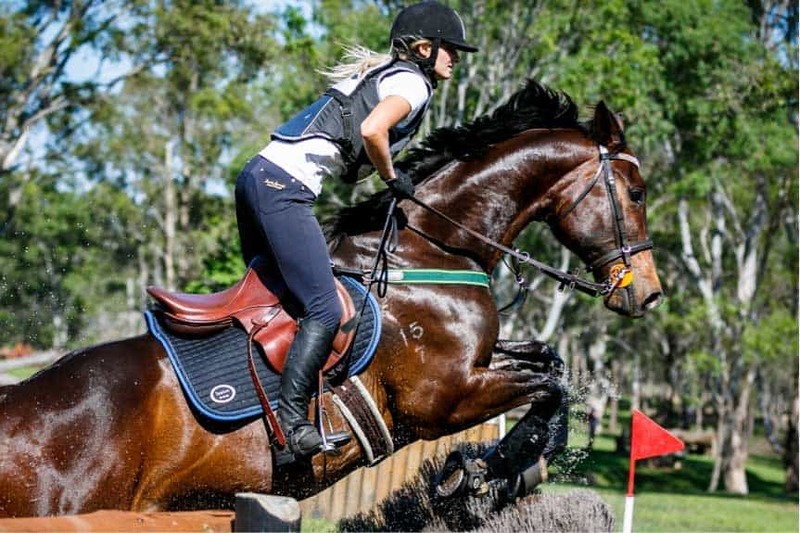 Courtney is very pleased with Morton’s health, condition and energy levels these days and he is maintained on his VF natural diet with Equi-Vital and Guardian Joint Formula. This is in contrast to his previous program which included four processed feeds and four supplement products. Morton was bred and trained by Courtney’s uncle, so he has been in the Cusack family all his life. Lucky Thoroughbred to have such a dedicated owner and a successful career after racing.